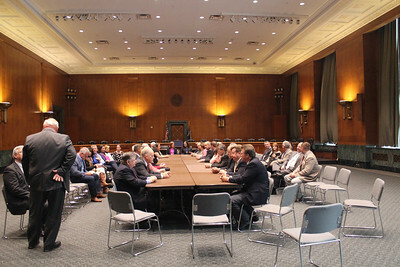 2017 Membership Incentive Trip - Washington D.C.
LFBF President Ronnie Anderson addresses attendees of the 2017 Membership Incentive Trip in Washington D.C..
AFBF's Chief Economist & Deputy Executive Director Bob Young gives attendees a warm welcome, discussing current issues facing agriculture on Capitol Hill. 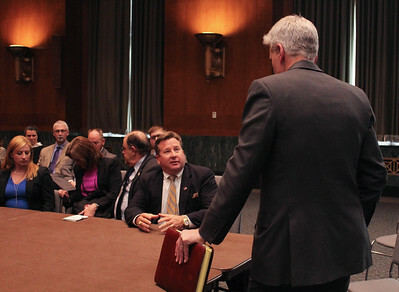 AFBF Director of Market Intelligence John Newton talks about the status of the 2018 Farm Bill. 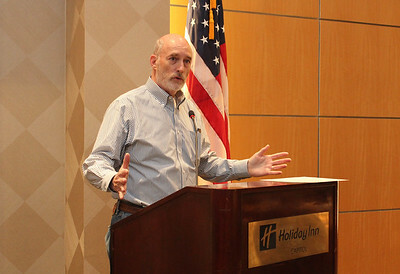 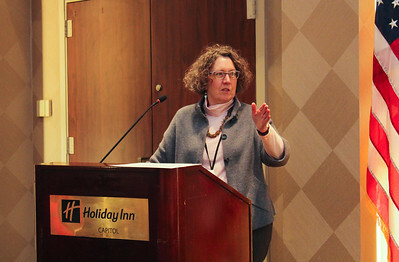 AFBF's Director of Environment and Energy Policy Paul Schlegel talks about what regulations for farmers could look like under the Trump Administration. 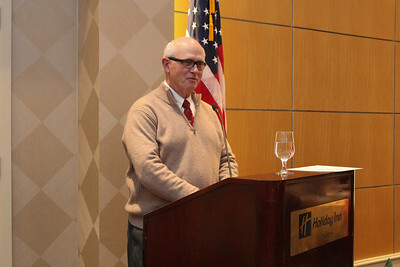 AFBF Senior Director of Congressional Relations Pat Wolff tells our attendees about the taxes changes our farmers and ranchers could face under a new tax reform. 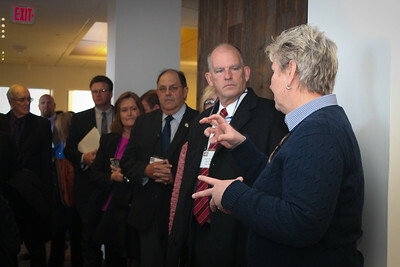 AFBF Senior Director of Congressional Relations, Mary Kay Thatcher, speaks to LFBF Executive Committee members Scott Wiggers and Mike Melancon during a tour of AFBF's headquarters in Washington D.C.
AFBF Senior Director of Congressional Relations, Mary Kay Thatcher, speaks to Louisiana Farm Bureau members during a tour of AFBF headquarters in Washington D.C.
AFBF President Zippy Duvall welcomes LFBF volunteer leaders in his office. 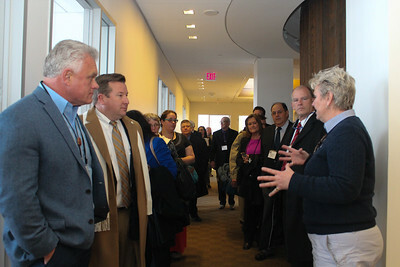 AFBF President Zippy Duvall welcomes LFBF's Young Farmers and Ranchers to AFBF Headquarters. 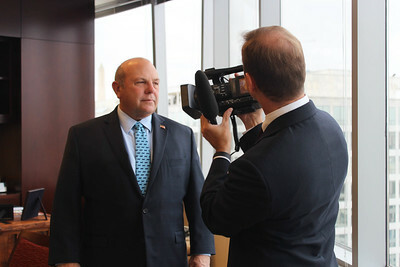 TWILA's Avery Davidson prepares to interview AFBF President Zippy Duvall. 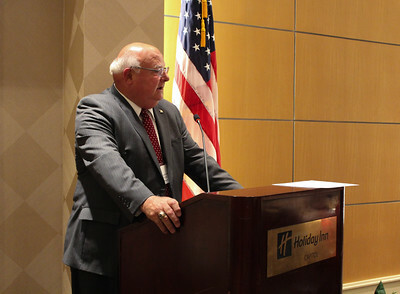 AFBF President Zippy Duvall tells LFBF volunteer leaders how he plans to serve Farm Bureaus on the state level. 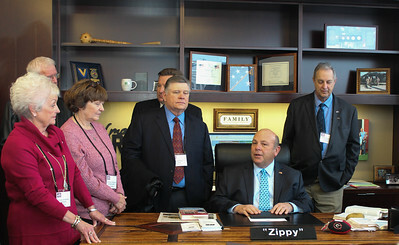 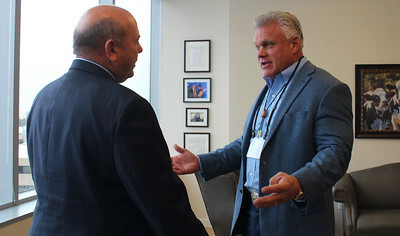 LFBF Lobbyist Joe Mapes tells AFBF President Zippy Duvall the challenges facing agriculture in Louisiana. 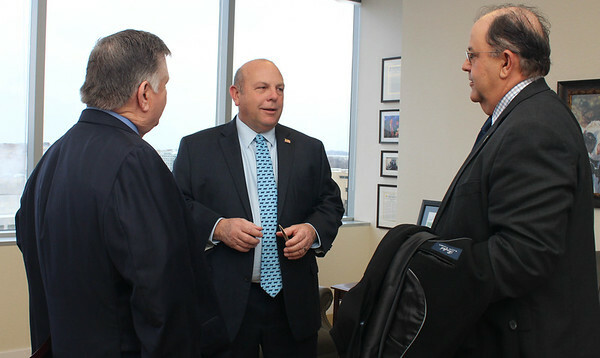 LFBF 2nd Vice-President Jim Harper and Secretary-Treasurer Mike Melancon invite AFBF Zippy Duvall to visit their sugarcane fields during harvest. 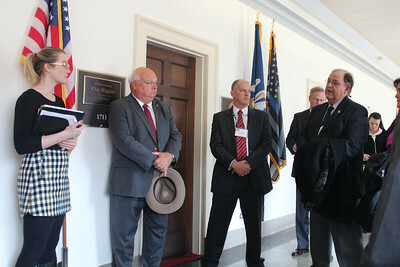 LFBF Treasurer/Secretary Mike Melancon talks to the staff of Congressman Clay Higgins about issues he and local farmers face in St. Martin Parish. 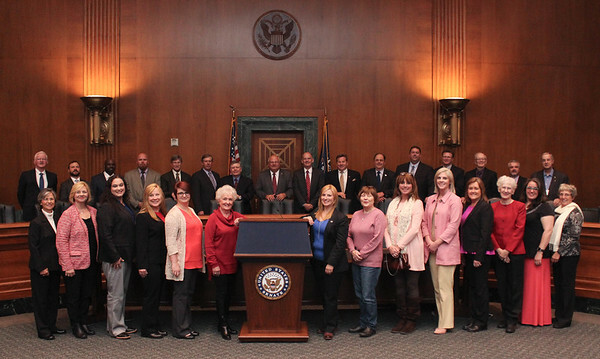 LFBF Membership Incentive Trip attendees pose for a group photo in the Dirksen Senate Office Building. 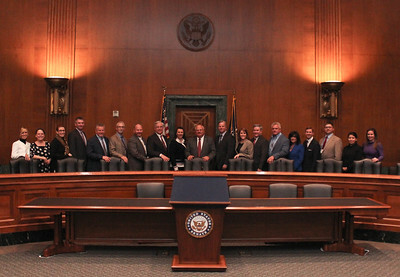 LFBF staff group photo in the Dirksen Senate Office Building. 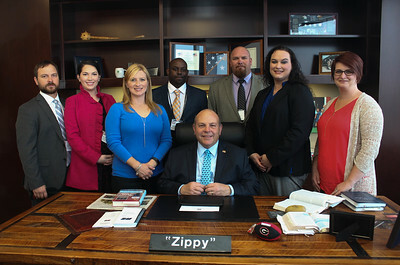 LFBF volunteer leadership and staff before their meeting with Senator Bill Cassidy. 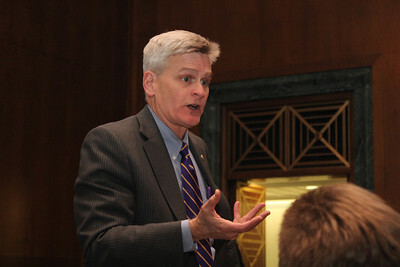 Senator Bill Cassidy updates LFBF volunteer leadership attending the 2017 Membership Incentive Trip about current issues in Washington D.C..
LFBF Secretary-Treasurer Mike Melancon asks Senator Cassidy about the 2018 Farm Bill. 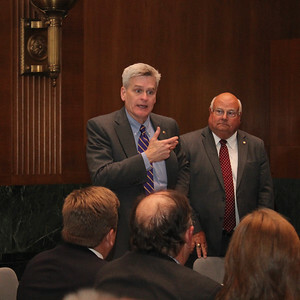 Caddo Parish rancher Marty Wooldridge asks Senator Cassidy about disaster assistance for cattle producers in the 2018 Farm Bill. 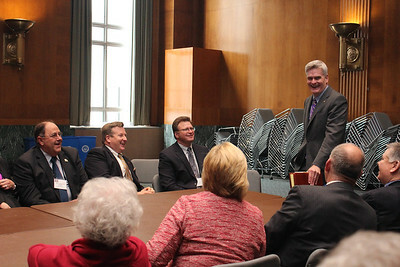 LFBF volunteer leadership visits with Senator Bill Cassidy about several issues, such as government regulation, health care changes and the 2018 Farm Bill. 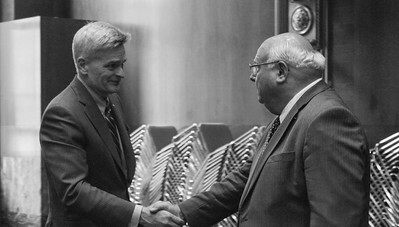 Senator Bill Cassidy and LFBF President Ronnie Anderson shake hands after a very productive meeting. 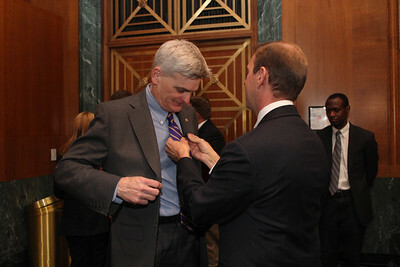 TWILA's Avery Davidson 'mikes up' Senator Bill Cassidy for a quick interview. 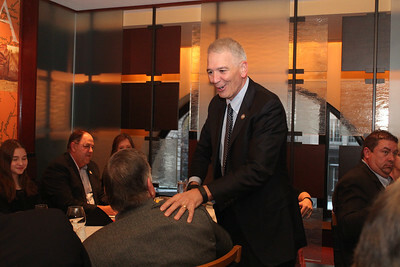 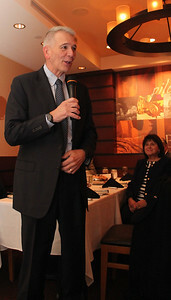 Congressman Ralph Abraham visits with LFBF volunteer leadership during a dinner at Fogo de Chao. 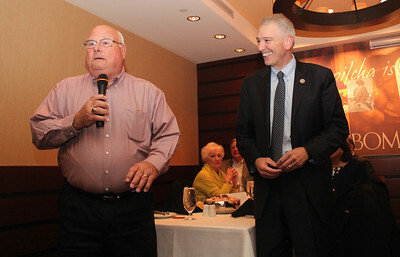 LFBF President Ronnie Anderson welcomes Congressman Ralph Abraham, his wife Dianne and his staff to dinner with LFBF volunteer leadership at Fogo de Chao. 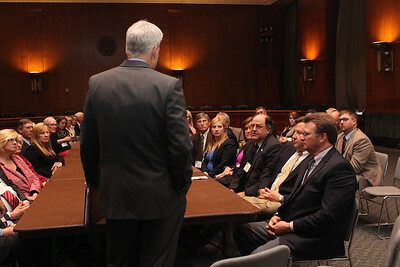 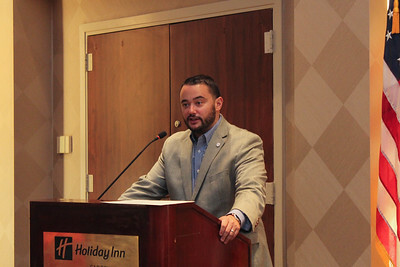 Congressman Ralph Abraham speaks to LFBF volunteer leaderers about current agricultural issues in Washington D.C.